Just as the trees sap starts to flow as spring nears, my creative juices start flowing and my right brain warms up at the thought of spring break and the ever-nearing summer off. For me, break from work brings the joy of less-interrupted project time. Today we got out the PANTONE Moroccan Blue paint and touched up the bands of bare walls above the windows on either side of our fireplace. 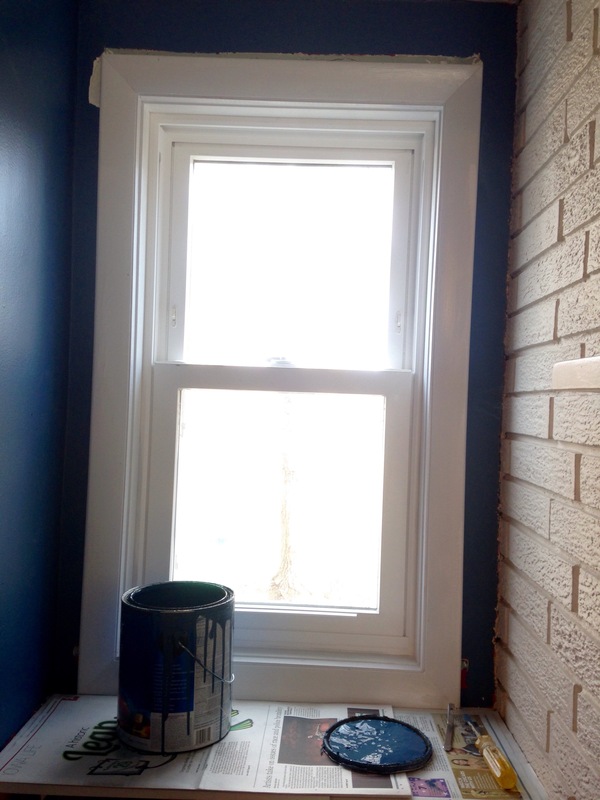 These have been bothering me since we had the windows replaced a couple years ago. 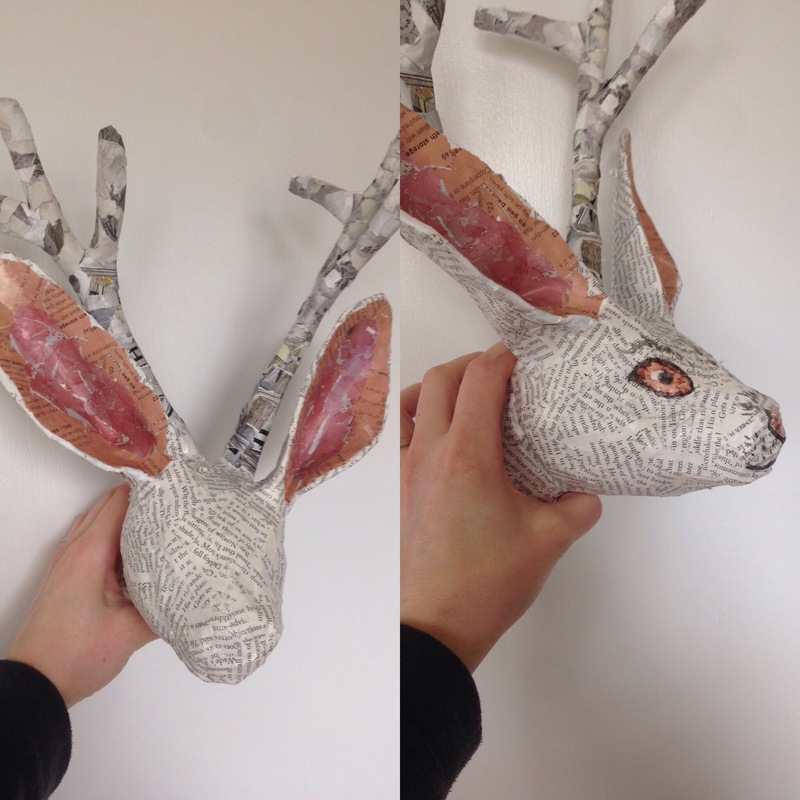 I have also been working on finishing my papier-mâché jackelope from a few years back. I’m torn on the face. I think it looks cheesy (kinda creepy, too) and will most likely collage over it before I mount it on my wall. I broke out my black Sharpies and added textural lines on the insides of the built-ins on either side of the fireplace. The results are a fun fiber-inspired design. 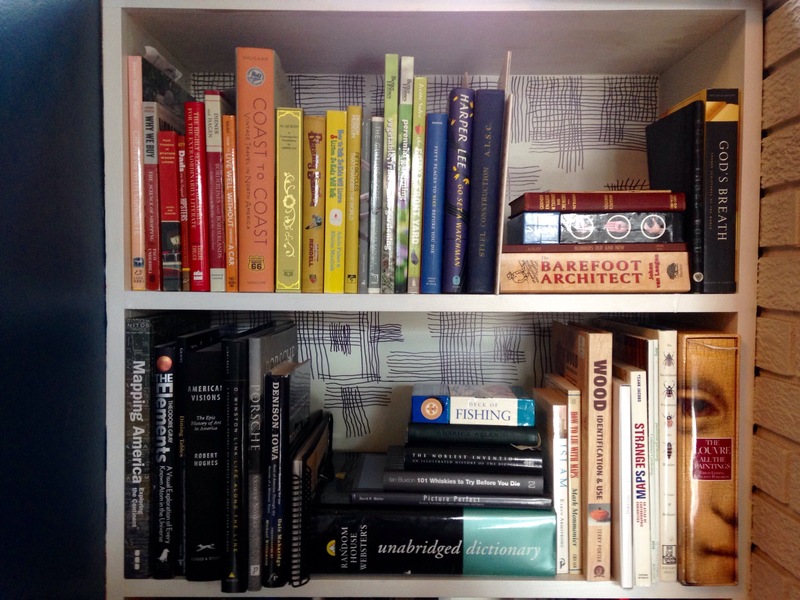 I also reorganized the books by color. It makes a weird order to the topics but pleasing to the eye. This is the left side all done – aside from the bottom shelf which I left alone since it is on floor level and filled with children’s books. I will post the right side at another time. Thanks – glad to have been an inspiration! They are made entirely from paper. The core of the antlers are made from rolls of newspaper taped together and then papier-mached on top. Then collaged with magazine pages for color/texture. I wish I still had the in-progress photos of this project, but I started it long before we moved across the country and I am thinking they were lost somewhere along the way.